Bulgarian born violist Rumen Cvetkov is widely recognized as one of the most talented musicians of his generation. Since his solo debut at age of 8, Rumen Cvetkov has performed in more than 20 countries on 3 continents which won him positive critical claim. 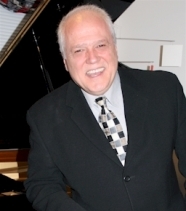 Equally popular as a soloist, recitalist, and chamber musician he has performed in important venues worldwide such as Berliner Filharmoniker Hall, Carnegie Hall (New York), Walt Disney Hall (Los Angeles), Pallacio de Bellas Artes (Mexico City), Chicago Symphony Center, Desingel Concert Hall (Antwerp), Bulgaria Hall, to name a few. His festival appearances include Red Sea Festival (Israel), Athens, Mimir, Bruman, I Palpiti, Ascoli Piceno (Italy), as well as “Music in the Old City” and ” European Culture Month”. He has been guest artist for Van Cliburn Institute and guest faculty at Texas Chamber Music Round Up in Fort Worth. A passionate chamber musician, Rumen Cvetkov has collaborated with some of the greatest musicians today such as Ida Haendel, Bernard Greenhouse, Mihail Muntian, Sir Harold Martina, Jose Feghali, Christian Tetzlaff, Vladimir Mendelssohn, Roger Chase, Michael Flaksman, Jose Gallardo, Ensemble Oriol (Berlin), Persius Ensemble, and members of Borromeo and Kronos Quartets. In the fall of 2007 he cooperated with Yo Yo Ma’s Silk Road Project performing the solo part of Brahms Clarinet Quintet arranged for solo viola in a concert organized by Chicago Art Museum. Starting September 2008, Mr. Cvetkov is the solo violist of Tilburg Chamber Orchestra (Magogo Kamerorkest der Nederlanden). His other orchestra experience as a solo violist include performances under conductors such as Bernard Haitink, Myun Wun Chung, Kent Nagano, Enrique Batiz, Rossen Milanov, Alan Gilbert, to name a few. His wide solo concerto and recital repertoire includes most of the popular pieces for viola with orchestra and piano ranging from Bach and Haendel to Penderecki and Ligeti. His favorites, however, are the virtuoso pieces such as Paganini’s La Campanella and Sonata for Grand viola and Orchestra, Hora Staccato by Dinicu-Heifetz and Flight of the Bumble Bee by Rimsky-Korsakov. In addition, he had made numerous arrangements of violin virtuosic and romantic pieces. Mr. Cvetkov delivered the premieres of several pieces including works dedicated to him. In Bulgaria, Rumen Cvetkov studied with Georgy Naidenov (pupil of Feodor Druzhinin). In America, with Misha Galaganov, Roger Chase and Shmuel Ashkenasi. In Holland, he has worked with Vladimir Mendelssohn.